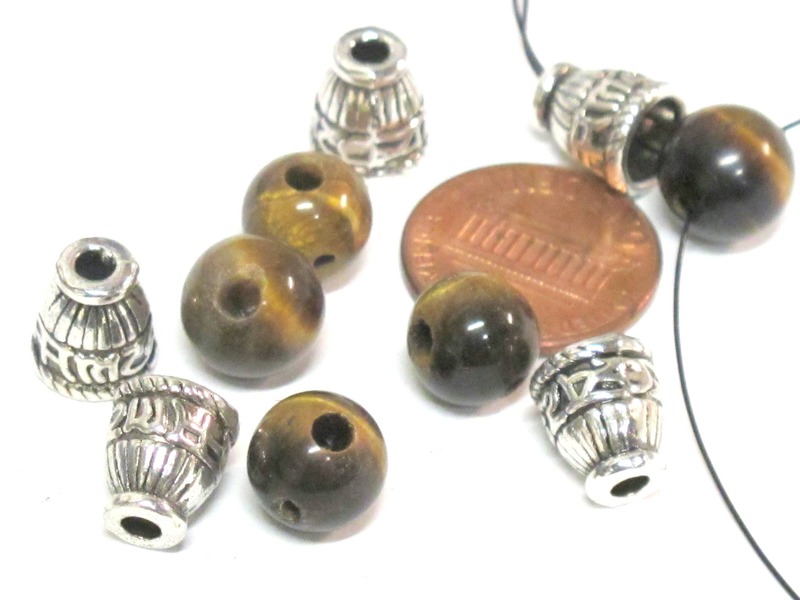 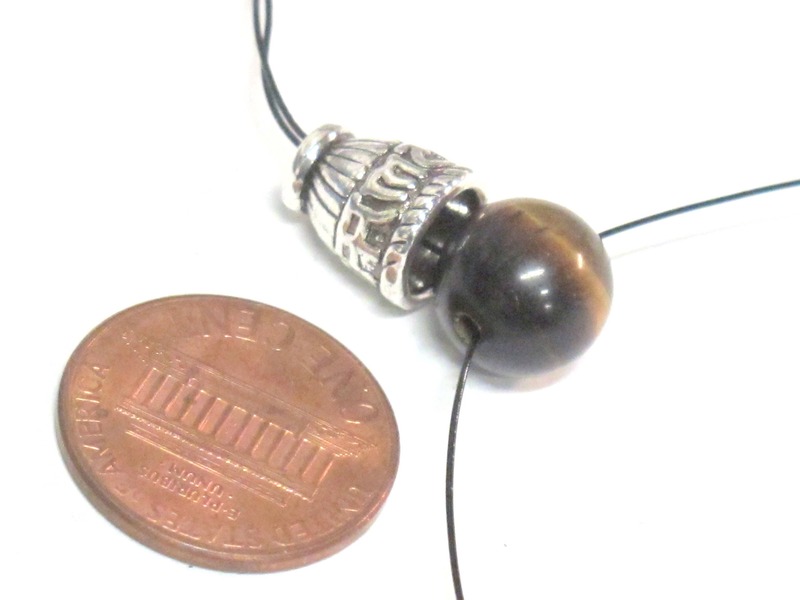 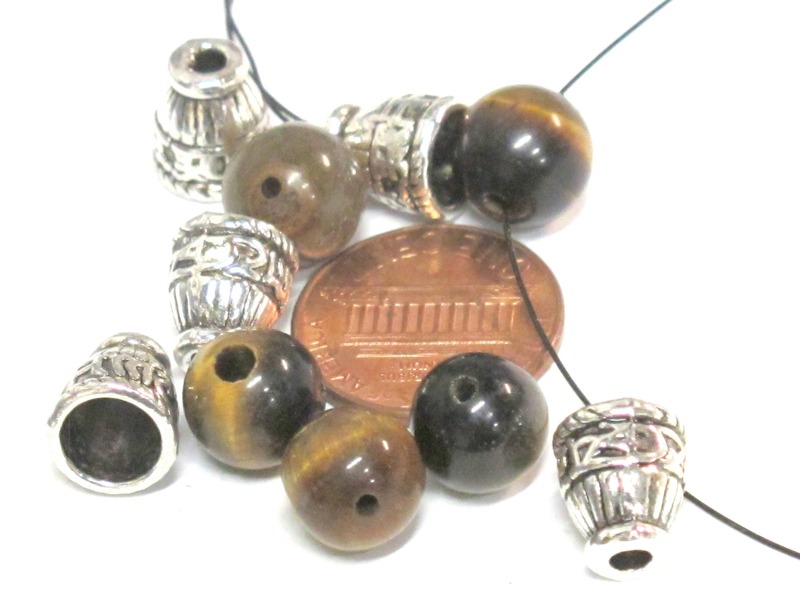 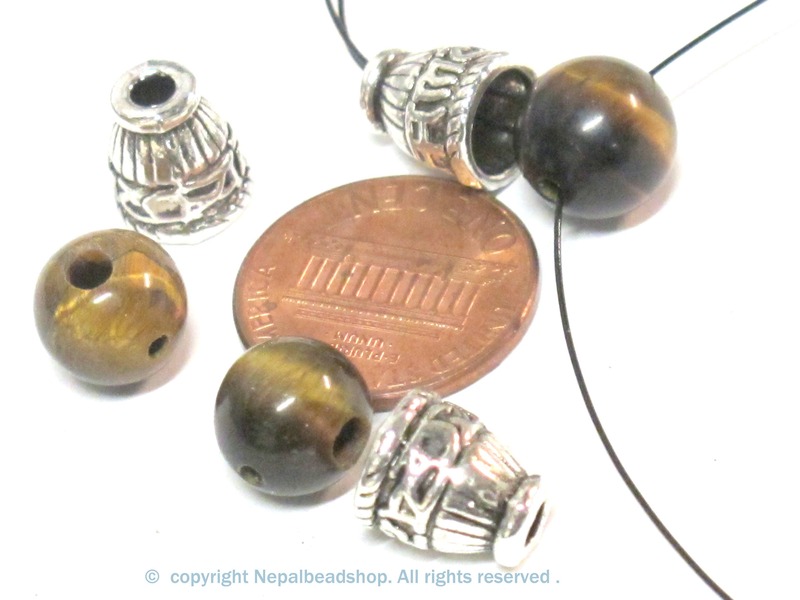 This listing is for 1 Tigers eye gemstone 3 hole guru bead and silver color finish column bead with tibetan prayer om mani padme hum . 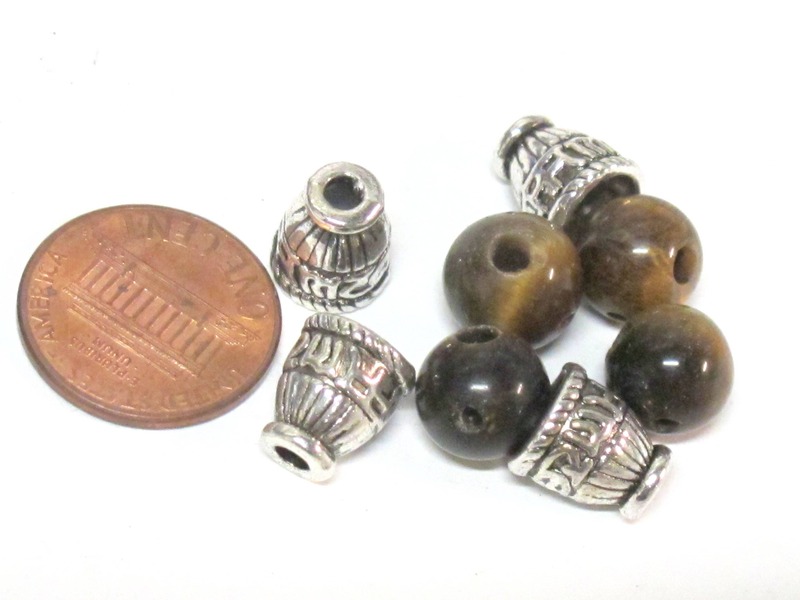 Size - 3 hole guru bead is approx 10 mm wide . Column bead is approx 9 -10 mm height x 9 mm wide at base. 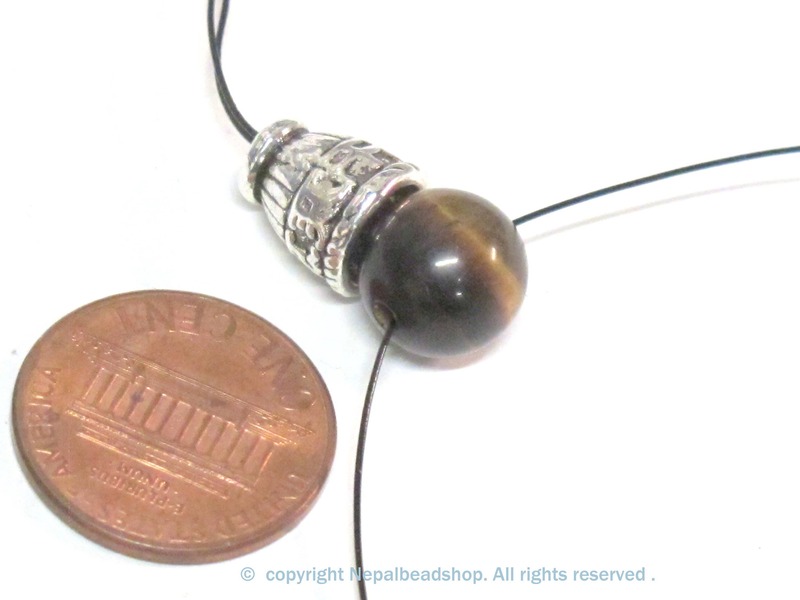 Since these are made from gemstone each set will vary slightly from the other.